Following my inspirational Monday post, I decided to get a bit creative and design an editorial look of my own. I was inspired by some of the photos I shared on my last post, especially the ones bursting with colour. I had an idea in my mind before I actually started applying the makeup but to be honest I just kind of made it up as I went along based on the makeup I had in my stash. 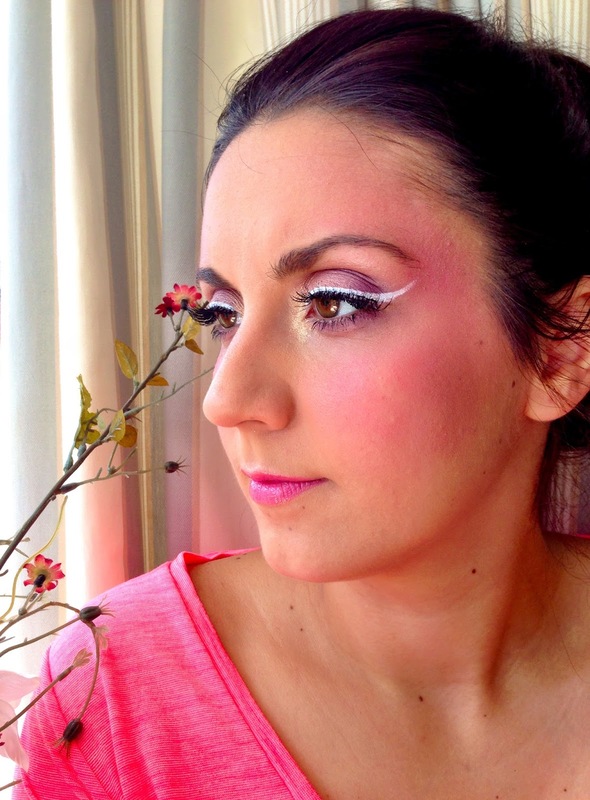 The look consisted of a natural base with a really bright hit of pink throughout. Now this is obviously not something you would wear out in public on a day to day basis (at least I wouldn't anyway). It's simply a look that I was inspired to create from some of the recent browsing I did through editorial & high fashion makeup. I'll also list the products and tools I used in case you're wondering, just note that I don't usually apply so many products on my face all at once (ain't nobody got time for that). 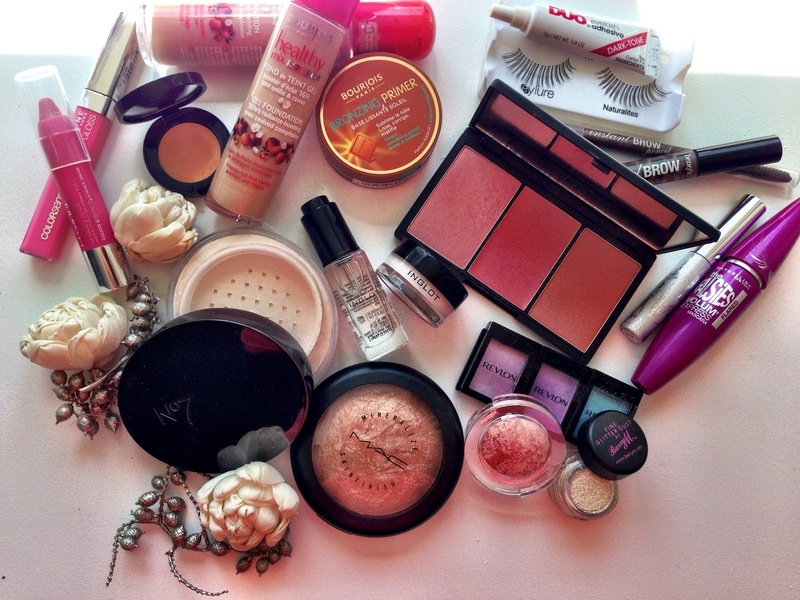 These are the products & makeup tools I decided to use from my stash. The eyeshadows in particular are not something I would usually use colour wise (I actually bought them during my makeup course for a look I wanted to create and haven't touched them since). 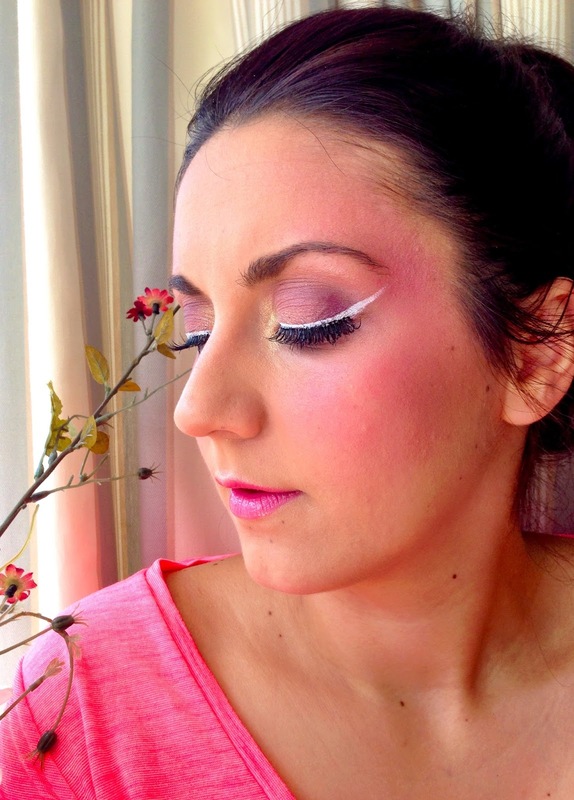 The white eyeliner again is a product I've used once in the waterline to brighten & open the eye. I just find it a bit too much for my day to day makeup but I must think of ways to start using it more. The rest of the brushes (with a black handle) are by SILK Pro and they are part of the brush set I received with my makeup course. I have nominated you to take part in the Liebster Award I love your blog and think it would be great to learn more about you. I love this style on your eyes! You look lovely. 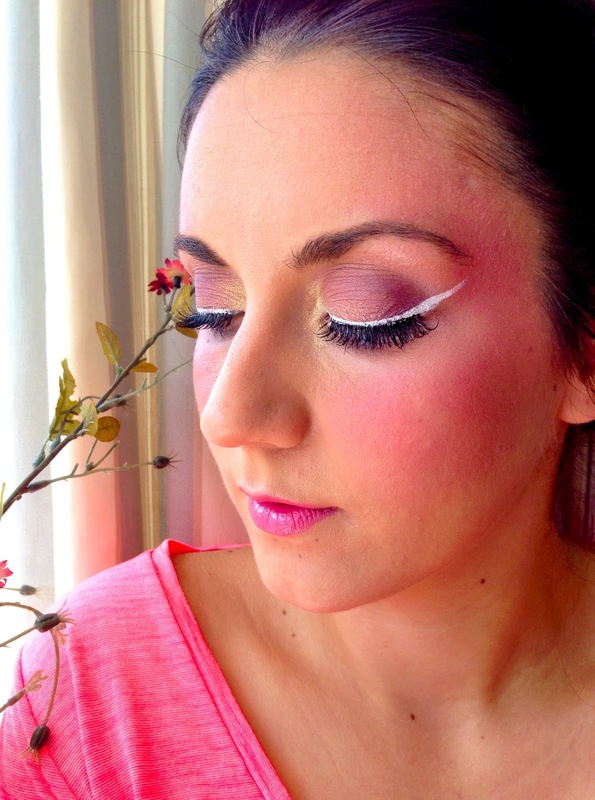 this is such a fun look to try! 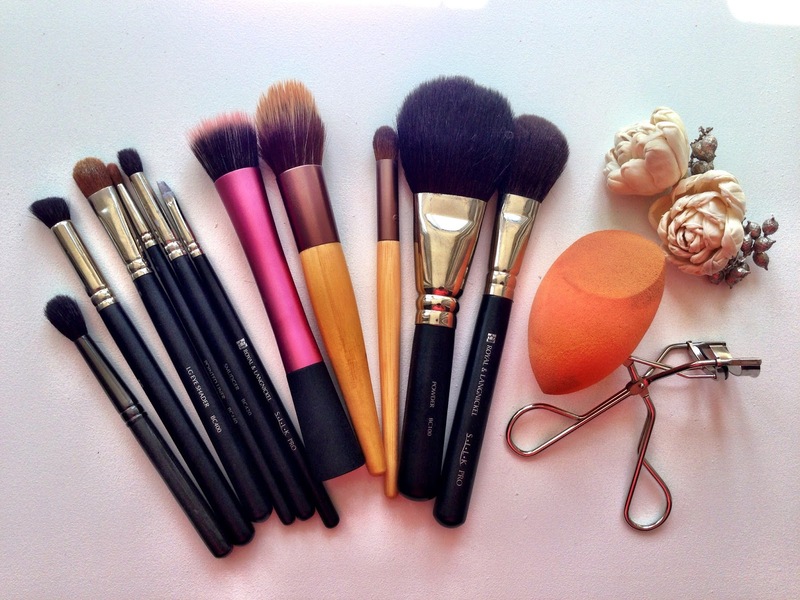 love your brush collection!